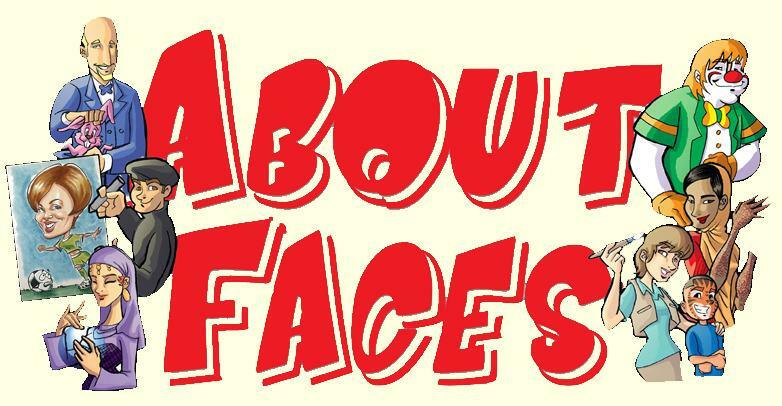 Fall Into October With About Faces! Spooky season is upon us, and it is imperative that you hire out a few face painters to join your company in a well-deserved and terrifying Halloween Bash. 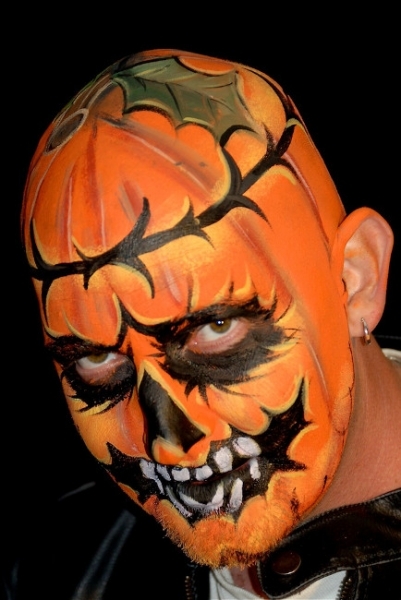 Just a few pumpkin painted heads can turn a party from "boring" to "boring and full of people slathered in orange face paint". Now, what sounds more appealing? But October isn't just the month of Halloween, it's also Día de los Muertos, or the Day of the Dead! If you're celebrating this holiday, why even bother partying without entertainment? Face Paint by Terry J! Face Paint by Elisa G! 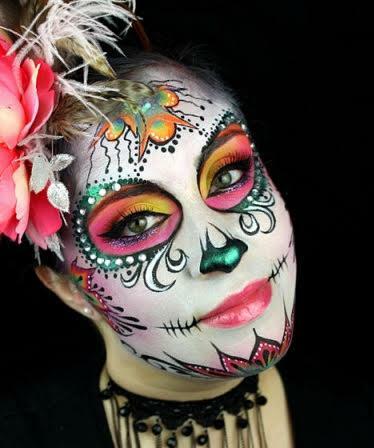 Take a look at this amazing sugar skull by Elisa G! This is the kind of flavor you can use to easily spice up your Day of the Dead festivities! Consider booking Elisa G. -- she made Megan's gig wonderful! "We REALLY enjoyed have Elisa there at our event. She did a wonderful job and we will definitely use/request her again for any future events we may have." You thought Halloween and the Day of the Dead were the highlights of October? Well, you thought wrong! 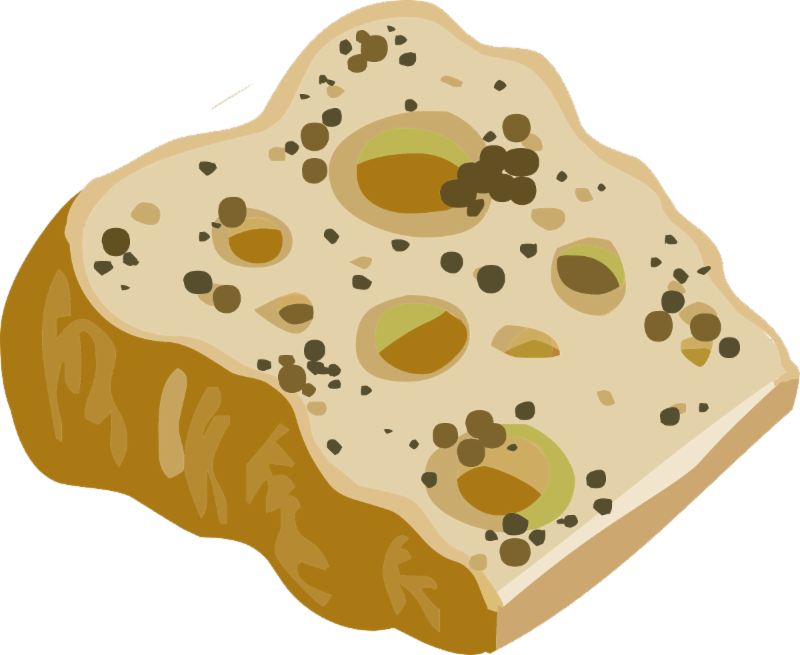 You better get out your calendars and mark in a few more dates, maybe even call up About Faces for some entertainment, because you know you don't want to miss out on throwing a Moldy Cheese Day* party (9th of October)! But if you a) don't like moldy cheese b) are bald c) all of the above, I've got good news for you! There is a plethora of bald-pride holidays in October, including but not limited to Bald and Free Day* (7th of October) and Be Bald and Free Day* (14th of October). Okay, I lied, the bald-pride holidays are limited to just those two. But honestly, how many Bald and Free days do you need? We think this is the perfect amount, because you get to celebrate being bald twice, with About Faces both times! 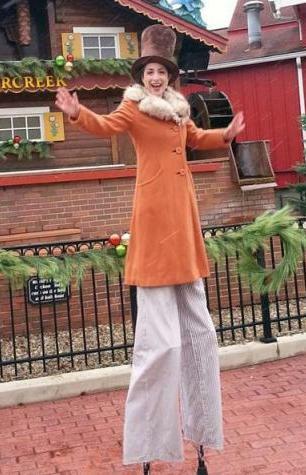 I am a stilt walker and have been performing since 2005--thirteen years! I was born in Cleveland, Ohio and learned to perform at an awesome event: Parade the Circle. It's put on by the Cleveland Museum of Art and they bring artists from all over the world to teach different forms of art such as steel drums, samba... and stilt walking! Every event is special and unique. I perform annually at Forecastle Music Festival. Five years ago, I was invited by Matt and Kim to join them onstage! I had an absolute blast! When I'm not performing on stilts, I am working on my permacultuure farm. I also am a bike fanatic and have bicycled across the country! Now is the time to seize the PHONE and call up your favorite company to ensure friendly and local entertainment! Call 1-800-92-FUNNY or reply to this email to book your entertainment today!